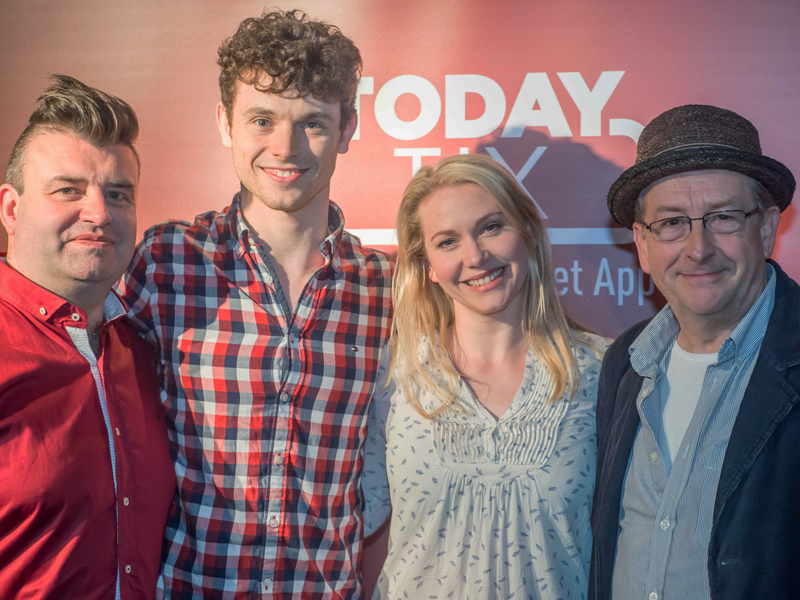 Video: The Curtain Up Show’s Oliviers Special! On Friday we hosted a very special event with The Curtain Up Show to celebrate the 2017 Olivier Awards. Not only were there a bunch of nominated guests spending the day with us, but we invited a few friends of TodayTix too. Rukaya Cesar has her own YouTube channel about all things stagey and she and fellow theatre buff Shaun Nolan came along to check it all out. 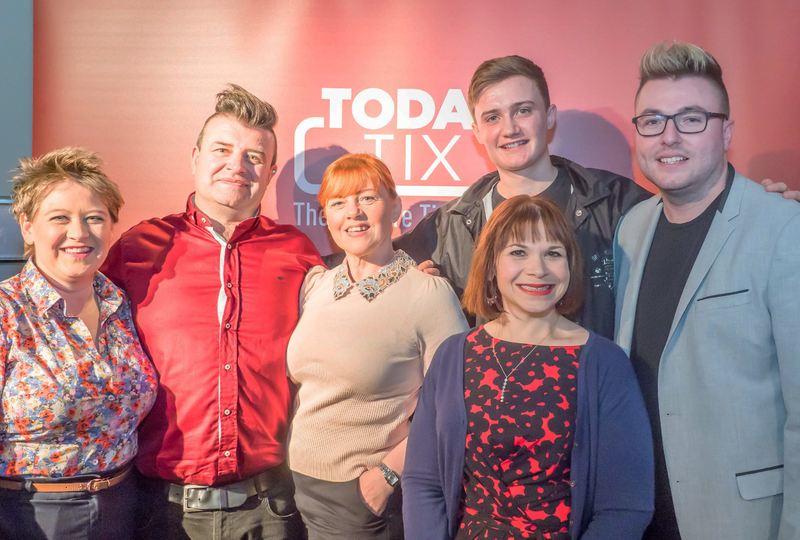 Tim McArthur and Nathan Matthews are the fabulous hosts of The Curtain Up Show who chatted with cast members from The Girls, Half A Sixpence and Murder Ballad. Plus, theatre critics and commentators Mark Shenton and Terri Paddock gave their predictions on this years winners. Check out pictures from the day. 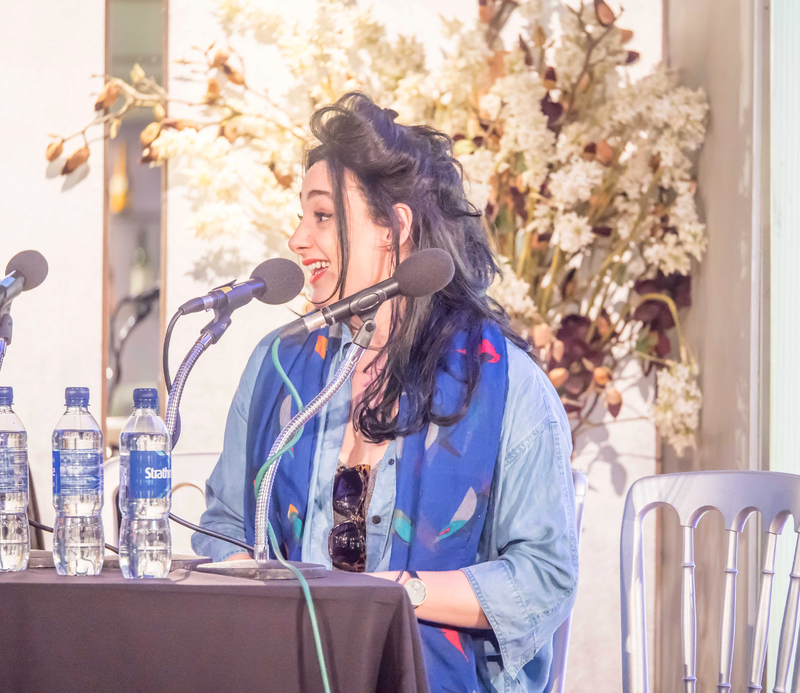 Victoria Hamilton-Barritt, nominated for Murder Ballad, talked about the show, the Olivier Awards and her unique experience of performing while heavily pregnant while she starred in In The Heights. 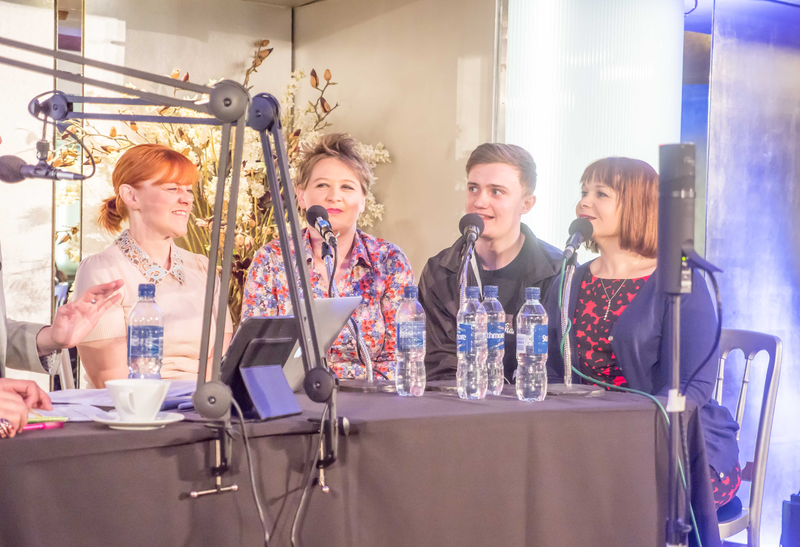 The Girls stars Sophie-Louise Dann, Claire Machin, Ben Hunter and Debbie Chazen came to the stage to talk to us dressing for the Olivier Awards (Ben was worried as he can’t tie a bowtie! ), how it feels to be nominated as a group and getting their kits off in the West End. Photo Credit: Tim and Nathan with the cast of The Girls. 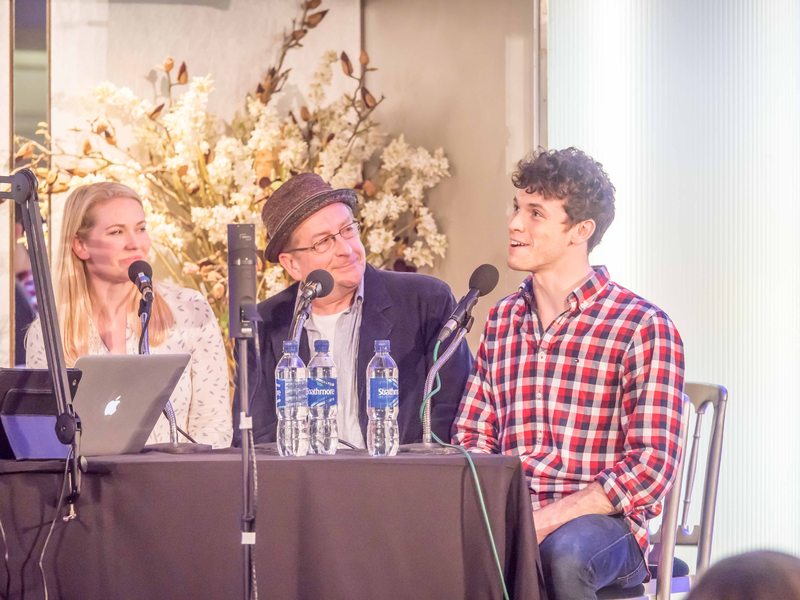 Emma Williams, Ian Bartholomew and Charlie Stemp, all nominated for Half A Sixpence chatted with Tim and Nathan about the energy it takes to perform, past nominations and the incredible choreography of the show. 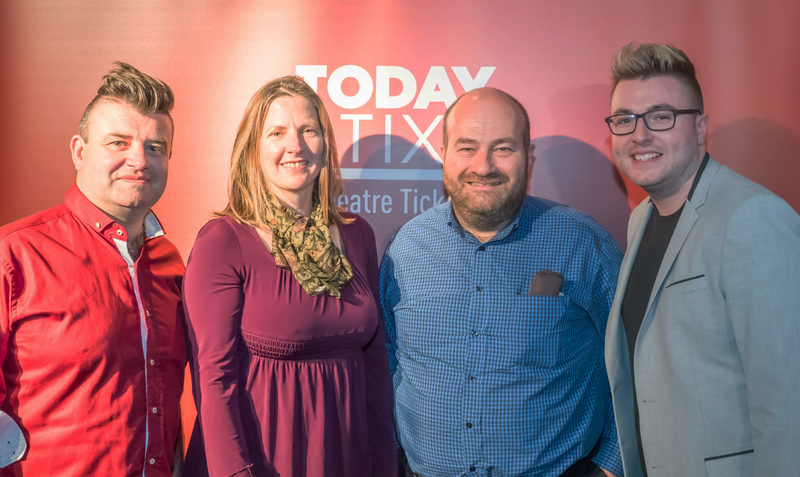 Mark Shenton and Terri Paddock join Tim and Nathan to discuss the past year of theatre and to share their predictions for winners. To watch the Olivier Awards, tune in to ITV tonight at 8pm. Want more? The Duchess of Cambridge Went To See 42nd Street!